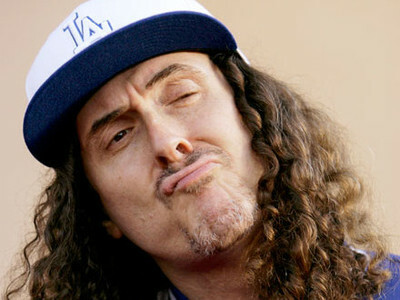 Weird Al Yankovic has a new album. It is called Mandatory Fun and is available to purchase on iTunes as you are reading this very sentence. To promote the album (and as a (mandatory) fun thing to do), Weird Al has released one music video every day for the last eight days for a total of eight music videos based on songs from the new album. So have you been watching the videos? What do you think? If you missed them, they are still up on weirdal.com. I recommend that you go check them out. Why not? Do you hate fun? Too bad! The fun is mandatory! If you want to hear the remaining four songs on the album, you'll have to buy them on Amazon. You didn't really think you were getting free milk did you? With football season approaching--and living in this city that loves the local college team football--I anticipate hearing a lot more of "Sports Song" in the near future. And I'll bet you that high school bands all over the nation are working on arrangements right now.